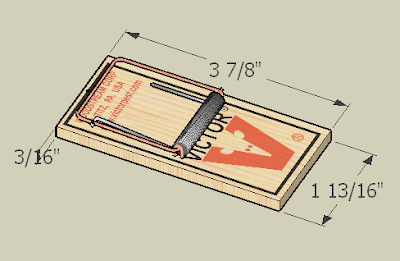 The instructor will provide the mouse trap and some wood that may be used for the chassis. All other materials will be provided by the student. There is no material limit, in terms of types or quantity. No supplemental source of energy may be used. There is no size restriction. The goal of the mouse trap car is to get it to go as far as possible. For full marks, your card will have to travel approximately 6 meters for each of three runs. The assignment can be accessed here. Copy the file and rename accordingly before sharing with your instructor.